Torys is delighted to announce that Stephanie Stimpson has joined the firm’s Calgary office as a partner in our Corporate Practice. Stephanie has a diverse corporate and transactional practice. She works with oil and gas companies in Canada and internationally on all aspects of their business, including board and governance matters, securities and regulatory compliance, financings, and mergers and acquisitions. 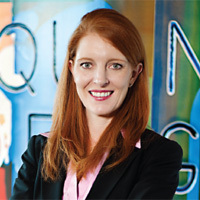 Stephanie is recognized in International Who’s Who of Business Lawyers as a leading lawyer in Oil and Gas.